The Independent has a wrap up of the currently known details about the new Floyd album set for an October release, The Endless River. In short, long-time backup singer Durga McBroom-Hudson has confirmed that the album is an expansion of an instrumental concept David, Rick, and Nick worked on during the 1994 sessions for The Division Bell, with at least some vocals recorded. 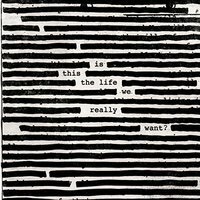 Sources indicated to UK's The Sun that Roger Waters is definitely not involved and a band spokesperson confirms that there is no tour planned. By all appearances, this album will represent, to borrow Polly Samson's words, not only Rick's swan song but the band's as well. New album coming in October? It is worth noting that this isn't a verified Twitter account, but that is fairly common in the case of people who aren't well-connected to other "celebrities". Based on the history of the account, the idea that it truly belongs to Ms. Samson is very plausible—backed up by the post apparently being re-Tweeted by long-time Floyd backup singer Durga McBroom. It's also worth acknowledging that there are rumors of involvement from Roger Waters and of a potential future tour, but we have found no sources to confirm. We'll be treating them as rumors but will obviously post more as it emerges. According to the blog Super Deluxe Edition, Roger Waters's Amused to Death will finally see its long-awaited SACD release—and in 5.1, to boot. Obviously, the SACD format hasn't taken off as many expected, with many listeners putting more emphasis on mobile convenience than fidelity, but this should be great news for those who have invested in the necessary tech.